Of the working class people go? This is the prologue to Heather Babcock’s chapbook Of Being Underground and Moving Backwards, a collection of short stories published by DevilHousePress. A compelling and vividly detailed collection of works, Of Being Underground and Moving Backwards opens with “Break,” a first-person narrative from the point of view of a heart-broken, over-worked waitress soldiering on through her shift to pay the bills – and finding emotional release in an unexpected moment of solitude during a much deserved break. The workaday characters – Wilbur and Christina in “Half Off” and Betty in “The Trees Turned to Glass” – struggle through harsh and unfair circumstances, doing the best they can to survive as they scramble to eke out a living, and find snatches of happiness and moments of ecstasy when they can. Constantly faced with judgement in the present and haunted by ghosts of the past, daydreams and fantasies become a welcome escape – an oasis from the dull, grey hopelessness of a world that sees them as disposable. And in “Rebecca,” we get a portrait of one of those judgemental, comfortably smug points of view, as wealthy record producer Conrad washes his hands of responsibility for someone he supposedly loved once. There is beauty and poetry, grit and defiance, especially in the stories of family and loss. Jake in “The Dancing Bear,” escaping from his brother’s hospital bedside and into a local bar and a pretty woman. First-person memories of a mother, a dead sister and flowers in “Marking Words” and the title story “Of Being Underground and Moving Backwards;” the sharp edges of family history smoothed by nostalgic recollections made bittersweet by family tragedy. And the closing story “Wind Pudding and Wagon Tracks” is parable-like in its insight into the human spirit; set in a place where everyone is treated equally and all are given the same choice – only each comes from different places with which to make that choice. Of Being Underground and Moving Backwards is a beautiful collection of unflinchingly honest snapshots of otherwise invisible working class people; their everyday drudgery finding momentary respite in after-hours second lives, rich fantasy worlds, moments of recollection and in the imperfect love of equally lost souls. You can find more of Babcock’s work online on her website. 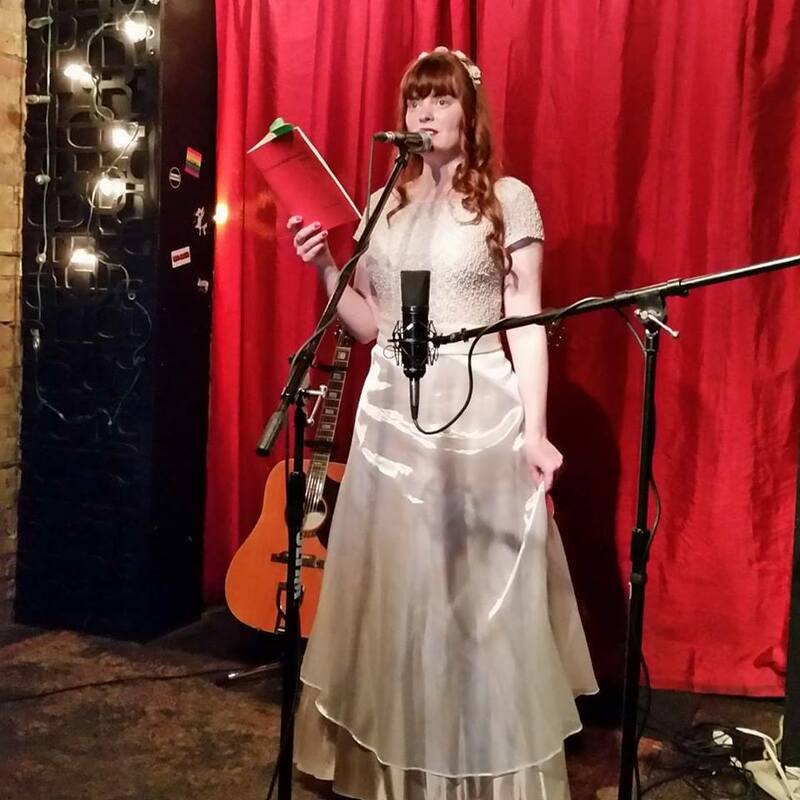 Babcock performs regularly around the city reading her work; coming up, she’ll be performing with Neil Traynor at I Got You Babe! And Evening of Poetry and Music with Heather and Neil at Hirut Restaurant on March 19 at 8 p.m.